Under-3s free but need adult supervision. Please note we cannot take credit or debit cards. The Aquarium is situated on the historic Fowey Town Quay and gives a fascinating glimpse into the marine life found around the Cornish coast. Although the aquarium is small in size, our visitors are constantly amazed by the variety of marine creatures on display. In addition to a wide range of fish from the tiny gobies and shannies from the shallows up to Conger eels which inhabit deep wrecks, there are various types of crabs and lobsters lurking in the corners! Children will especially enjoy the touch pool where they can pick up a shore crab or have their fingers tickled by prawns. First established in 1952 the aquarium still retains many of the original tanks. Fresh sea water is pumped in daily at high tide and the filtration is minimal. This is a mixed blessing as keeping the clarity of the water acceptable is difficult at times but on the plus side are the various creatures such as sea-squirts, sponges and tube worms that arrive as plankton in the water and grow on in the aquarium. The majority of fish are obtained locally from local fishermen and anglers. We try to use local sources for the fish food, we are fortunate to have Ammodytes Ltd close by at St. Ives. In addition to being renowned for the quality of their fishing baits they are also a major supplier of frozen foods to the aquarium world. 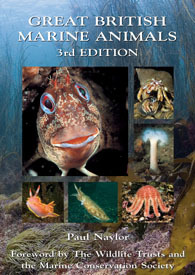 Fowey Aquarium is delighted to be mentioned as “a good place to learn about marine animals” in Great British Marine Animals, 3rd Edition 2011. Paul Naylor, marine biologist and author. Trip Advisor Certificate of Excellence 2015, 2016 and 2017. Read our reviews here. Fowey Aquarium images (except lobsters, hand nets and bubble fish) by Ian McCarthy of Images from the Wild Gallery, Fowey. Family at touchpool courtesy of Alison Rodwell.